First full day of the Airline Information Mega Event here in YVR. Great turn out this year with over 450 attendees from around the globe representing airlines, hotels, credit card companies and loyalty/ancillary suppliers. Still managing to provide with the daily updates straight from the conference! 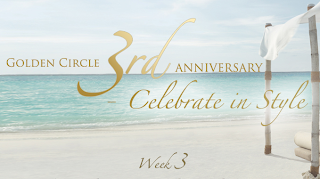 Don't forget to enter week 3 of Shangri-La's Golden Circle 3rd Annivesary contest to earn up to 1,200 free GC Award Points. 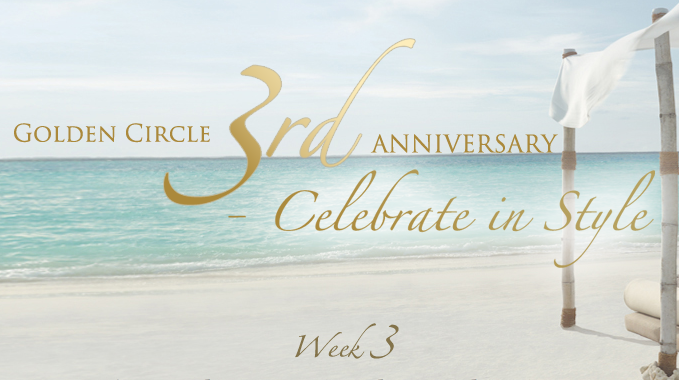 Although they state it can take 3-4 weeks to get the points, my points from Week 1 have already shown up in my Golden Circle account! The biggest news to come out in the last day is the settlement of the suit brought against the proposed US Airways-American Airlines merger by the US Department of Justice. What does this mean? It means merger talks can continue between the two airlines with hopes that the American Airlines bankruptcy judge will approve it and then it shouldn't be too long before the two airlines merge barring any other unknown hurdles that may be put in front of them. - 4,000 Bonus IHG Rewards Club Points (For Ambassador members only) for stays at participating InterContinental Hotels Worldwide More... Until ?